Anglicans Online Essays | Pierre Whalon | Where Have All the Christians Gone? "It is a major catastrophe, and no one talks about it," said Walter Cardinal Kasper to me, last May. This month in Le Monde des religions, a magazine published by France's top newspaper, Régis Debray, the former enfant terrible of the Village Voice made the same lament. "Does no one see? Does no one care?" And the situation was evident to Rowan Williams, Archbishop of Canterbury, on his recent visit to Bethlehem just before Christmas. 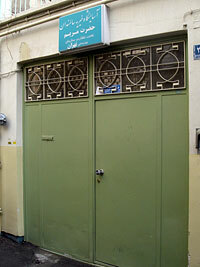 Finally I saw it for myself, on a recent visit to Teheran. Where have all the Christians of the Middle East gone? Are we in the West aware of the fact that these lands of Lebanon, Israel/Palestine, Iraq, and Iran, the birthplace of our faith and the cradle of the Church, are emptying out at a dizzying rate? And if we are, do we care? Some facts: 30 years ago 30 percent of Palestinians were Christians. Today less than 1 percent of the population in Palestine is Christian. four years ago when I visited Baghdad, there were about one million Christians. Today fewer than 400,000 are left, and they are fleeing at the rate of 30,000 a month. In Iran, the Armenian, Chaldean and Latin churches have lost between 50 to 90 per cent of their populations of only fifteen years ago. The situation is roughly the same in Lebanon. At the present rate, noted Archbishop Rowan with the other British Christian leaders in his party, there will soon be no Christians in Bethlehem to celebrate the birth of Jesus in their hometown. Why is this fact so little reported? Is it simply that we have indeed heard of it, but believe can't do anything about it? And where have all the Christians gone? This last question is easy to answer. For the most part, they have gone to the United States or Western Europe. The Chaldean Church, centered in Baghdad, has two new dioceses in the U.S. and one in Australia, the latter headed by the former Bishop of Basra, recently hounded out of his city. 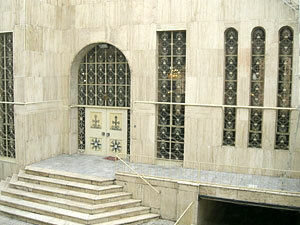 Damascus and Amman and western Turkey are full of Iraqi refugees, a great number of them Christians. Iranians head primarily for America or France. Oddly, perhaps, many of the Iranians receive help from Ha'aretz, a Jewish organization founded in the early nineteenth century to help Jews move to the Holy Land. One would think that with such movements of peoples, the phenomenon would be more widely noted. Perhaps it is the fault of the media. There are few religion writers who really know the subject. Often it seems to be a beat you cover if you are at sixes and sevens in your news organization, rather like a music critic who is suddenly required to try to cover a hockey game. It may well be that hearing about Christians leaving the Middle East isn't remarkable because it is assumed that Islam was there first. Of course, that isn't true. Over and over again in my brief travels to that part of the world Christians would remind me that they were there for six hundred years before the birth of the Prophet. His first wife, Khadijah, was herself a Christian. This new Diaspora coincides with the rise of salafism in Egypt in the nineteen-fifties. This radical brand of Islam is what underlies most of the terrorism we have witnessed since, especially recently. Like all fundamentalisms, it is no respecter of history. Instead of tolerating the Christians among them, as Muslims have always traditionally done, now they are labeled "crusaders" and spies for America by the salafist extremists. Moreover, the corrupt governments that the West has propped up have found it convenient to let the extremists make a lot of noise in order to divert their peoples' discontent with them. So the usual protections afforded the Christian minority have in varying degrees diminished or virtually disappeared. With the pressure on, emigration has become much more appealing. Stories of easier lives in the West filter back to those who remain. With that and with organizations willing to help, the Christians are finding it irresistible. 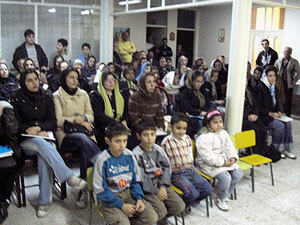 In Iraq, of course, one understands that the absolute havoc created by the American invasion and occupation has made life impossible for the Chaldeans, Armenians, Catholics and Assyrians, and they are pouring out of the country.The Mandaens, followers of John the Baptist (also known as Sabeans), are also under pressure to leave, yet another tragedy in that their religion is absolutely tied to life along the Tigris, and they may well disappear completely. But even outside of Iraq, in less desperate situations, the Christians are leaving. Those who are left behind try to continue to minister as best they can in a context that seems doomed to disappear. During a recent trip to Teheran, I had the privilege to witness the extraordinary work that Christians in that huge city do in spite of swiftly diminishing numbers and continual harassment. I visited a center for young people in which they are offered courses in four languages, woodworking, ceramics, website design and computer repair, as well as catechism and Bible study. I visited a convent whose enormous school, surrounding the large building on three sides, had been confiscated by the government ("Now they can pay for all those roof repairs," said the Mother Superior, ironically.) The members of the Down's syndrome group happily welcomed me. Dressed in good clothes, clean and well-fed and surrounded by love, they were a delight to be with. There is also a nursing home, run by Chaldean nuns and laypeople.It is parenthetically the only nursing home I have visited—and I've been to a lot—that doesn't smell. 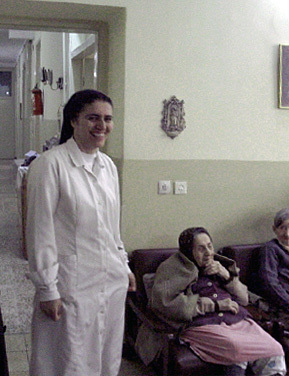 The head of the home, an Assyrian named Sister Nora, explained not without pride that their home has the highest rating of any nursing home in Iran. "Believe me, we earned it!" she said. "But these people"—she indicated a roomful of elderly people—"are our masters, and we must serve them diligently. "Besides funds from the Church, the home even has a group of wealthy Muslim women who visit once a year and support it financially. One old Muslim lady lay twisted with arthritis in her bed, her deformed fingers curling around each other, her face grotesquely deformed from a botched operation. Like all the other residents, she had been abandoned, left to die alone and sick and poor, until the home was able to take her in. It was explained that this woman's two sons had left her behind when they moved to the West. 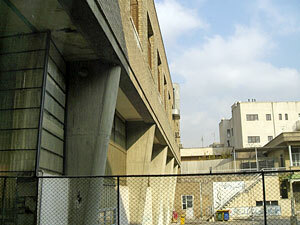 She still awaits her youngest son to come visit her, said Sister Nora ("nora" means "light"), but she does not know he committed suicide in prison while awaiting execution. As she said this, she oh-so-gently put her hand to the woman's twisted face, and they smiled at each other. Sharing the life of these Christians for a few days was like a spiritual retreat, I told my host, Chaldean Archbishop Ramzi Garmou. He seemed surprised. 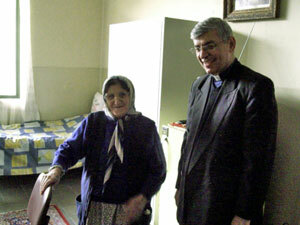 But their ecumenical life among Armenians, Latins, Assyrians, Chaldeans and Anglicans is extraordinarily close. 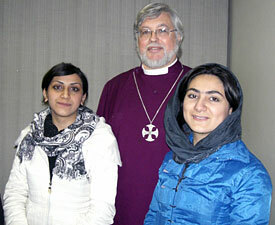 Our own Anglicans, who as Persians are the most persecuted Christians in Iran, have had a lot of help from the other Christians, including priests celebrating for them. "We don't have time for the usual formalities," said Archbishop Garmou, a genuinely holy man whose great heart goes out to Muslims and Jews as well as Christians. He has a depressing job. "Only the sick, the old, the weak, and the mentally ill are left. Who will care for them when everyone else has gone?" he asked ruefully. Sensing over and over the peculiar joy and great works of these Christians that seem so impossible in this setting, one can believe that indeed God the Holy Spirit has not and will not desert them. But what about us? We too are the hands of Christ, like Sister Nora's caressing the cheek of that poor widow, because we are the Body of Christ. Is it nothing to us that this enormous movement of sisters and brothers is taking place, threatening to end, perhaps forever, the 2000-year-old presence of the Church in the Middle East? Before we can act, we must understand the situation and realize what we have in our hands to help. First, Gentle Reader, we have hands to pray with, and you could join me in adding the Christians of the Middle East to your daily prayers. Second, you could pick up a pen or open an email to write your government to demand action to stem the tide. Third, you could see whether you have some of these refugees in your community, and reach out to welcome them. They are Persians and Chaldeans, Arabs and Assyrians, Turkmen and Mandaens, a rich mixture of ancient peoples whose direct ancestors in the Faith are the first disciples. We can learn much from them of the Christ in their midst. And perhaps one day, we can help them go home, to those lands that would be so deeply impoverished by their disappearance, and we too can visit them. But first, we must resolve to overcome our ignorance. Then we must struggle against our acquiescence. And then we will be ready to be of use to the Holy Spirit to stem this catastrophe. THE RIGHT REVEREND PIERRE W. WHALON is Bishop in Charge of the Convocation of American Churches in Europe.